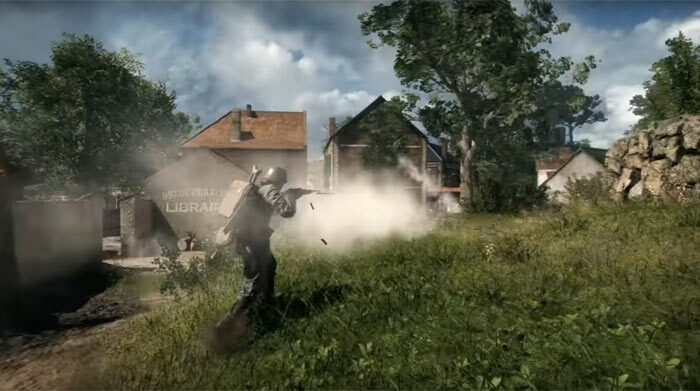 A new blog post published by EA details efforts to create capable AI-agents to play Battlefield 1 multiplayer. The blog post takes the form of an interview with EA SEED (Search for Extraordinary Experiences Division) Technical Director Magnus Nordin. For some background, Nordin joined SEED when it was founded two years ago. He has been working as a computer scientist for 20 years but most recently has been inspired by Google DeepMind achievements in getting computer AIs to teach themselves to play and beat old Atari games. Obviously modern FPS games are quite a leap from games like Space Invaders or Asteroids but Nordin has been recruiting a deep learning team to work on this ambitious project. First of all the team built "a bare-bones three-dimensional FPS to test our algorithms and train the network". After seeing positive results SEED worked with the team at DICE to integrate the trained agent into Battlefield 1. However, full-on Battlefield 1 graphics were rather too visually complicated so the AI-view was subsequently stripped down. To get the self-learning off to a good start the AI-agent observed 30 minutes of human play and got instructions for basic input action combinations to move around and interact with the game environment. In the demo below the AI-agents had practiced for the equivalent of 300 days of total gameplay (cumulative time of several AIs running at once). The video above shows how far the AI-agent training has got so far. A voiceover admits that while the basic skills of the AI-controlled players are impressive "they are easily confused and have many things left to learn" (see video 1 minute 8 sec onwards). Nevertheless, EA and SEED are confident that machine learning and neural network powered AIs will "profoundly change game development and gaming experiences in the years to come". SEED's Nordin says that at the current time the AI gannets can hold their own against humans - as long as they're pitted against we fleshy players in a simple game mode that's been restricted to handguns. The AI players have already started to be smarter when picking up health and ammo drops and Nordin expects them to begin showing signs of teamwork and more complex strategic thinking after some more work by his development team. Not a fair joke, IMO. This stuff, if it works well, allows for sustainability into the future. I think kliksphilip did a video about this (don't have time to find it) but essentially it talks about how when the mainstream player base leaves a game it's a shame that it's no longer possible/ enjoyable to play. Some smaller online games would benefit from having a few such AI to kickstart servers with etc, I believe Tripwire's Rising Storm 2 had some conversation about it recently. As an aside, I'm happy to see less predictable bots in any game, the predictable sort are so frustrating. First we have life like bots in games, next we have life like robots on real battlefields…. or, assuming the AI doesn't need a server farm to back it, might even lead to credible off-line single player options again. Remember those EA? You know, like on BF2? Especially with the 64-player bot bolt-on? Still enjoy those from time to time now. Even if they are a tad predictable.